Orange County’s Special Needs Program. The damage caused by forces of nature such as hurricanes, tornadoes and floods can present real challenges for Orange County citizens who have physical, medical, sensory or cognitive disabilities. The same challenges apply to the elderly and other special-needs populations. It’s important to prepare in advance for possible weather-related emergencies. Fortunately, the Orange County Emergency Medical Services (EMS) System is set up to provide optimal care and resources for those with special needs. 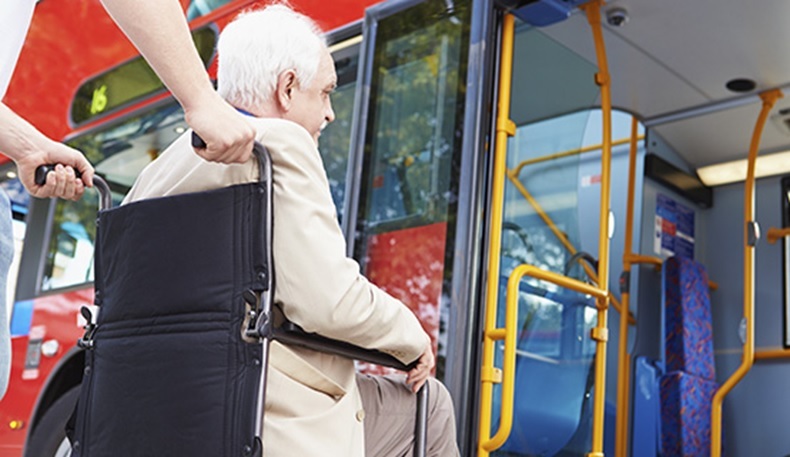 Citizens who require transportation assistance or have no alternate means to evacuate their home and those who have a health or medical condition that requires attention by skilled medical professionals in a shelter environment should register their needs through Orange County’s Special Needs Program. Carmen Weatherford, program coordinator for Orange County’s Special Needs Program, said that people with special needs move to Orange County every year and have never experienced a hurricane or other disaster. It is imperative that registrations remain up to date. According to Weatherford, approximately 4,800 special-needs individuals are currently registered in Orange County. She stressed that the information is protected by the Health Insurance Portability Accountability Act (HIPAA) and is only shared with emergency responders when a disaster strikes. Once in the system, Weatherford explained, individuals are reviewed based on either medical or functional need. Functional need means you have a medical need but are able to function on your own. Medical need means that you need assistance with day-to-day activities. This is important information for emergency responders to have when a disaster strikes so they can properly assist those with medical needs. Orange County has three designated special-needs shelter sites during an emergency. During a hurricane, for example, citizens are encouraged to monitor their local television and radio stations for specific shelter openings and locations. In addition to an automated phone message, a public service announcement is also made via radio and TV that specifically announces special-needs shelter locations. Residents are asked to call 311 if they require special-needs sheltering or transportation. “We deploy a tremendous amount of equipment to shelters, including cots, wheelchairs, medication, oxygen and other medical supplies,” Weatherford said. “Curbside at each shelter, a nurse performs a mini triage and checks people in. Special-needs individuals are all assigned a cot and can bring their immediate family who reside with them at home to the shelter. Medical supplies you utilize on a daily basis, which may include any portable oxygen, cannula, diabetes testing kit, nebulizer, etc. The American Red Cross or Salvation Army provides food for Orange County shelters, but it is recommended that people also bring food, snacks and water with them. Additionally, they should bring the names, addresses, and telephone numbers of family and friends should they need to contact them or to provide information on their whereabouts. Once the emergency situation has passed, Orange County provides a list of all the people in the special-needs emergency shelters to all local fire departments. The fire departments conduct drive-by surveys to ensure homes are safe upon residents’ return. Once homes are cleared, Access Lynx takes everyone who needs transportation home. Weatherford speaks to community groups throughout the year in an effort to inform them about Orange County Emergency Management protocols. She said individuals often have misconceptions about preparing for emergency situations. Be sure to download OCFL Alert, which is a first-of-its-kind emergency notification and information smartphone app that provides critical information during times of emergency. Life-saving information includes open shelter locations, water and ice distribution centers, evacuation routes, public service announcements and much more. Visit www.ocfl.net for more information.